On Wednesday I had a wonderful day off! I started by making a super smoothie finishing off my frozen red berries, with some cacao powder and quark. I had a dance class in the morning, and was heading straight to the Chinese supermarket afterwards, so lunch was a snacky mix of cereal bar and cheese. I stocked up on all sorts of goodies at the supermarket, including various forms of bean curd for protein. For dinner, there was some leftover cheesey pasta, to which I added some spinach, and topped with a poached agg and a slice of processed cheese. These tend to accumulate in the fridge and I hate to waste them! On Thursday I was having a low calorie day. I made myself a 100 calorie salad for lunch with 1/3 tin of white kidney beans (they were 15p in BM bargains), with red onion and tomato, and my new fave seasoning, red pepper flakes. Dinner was a super spicy stirfry with zero noodles, including strips of carrot, and some rose bean curd. It was gorgeous, if a little spicy! 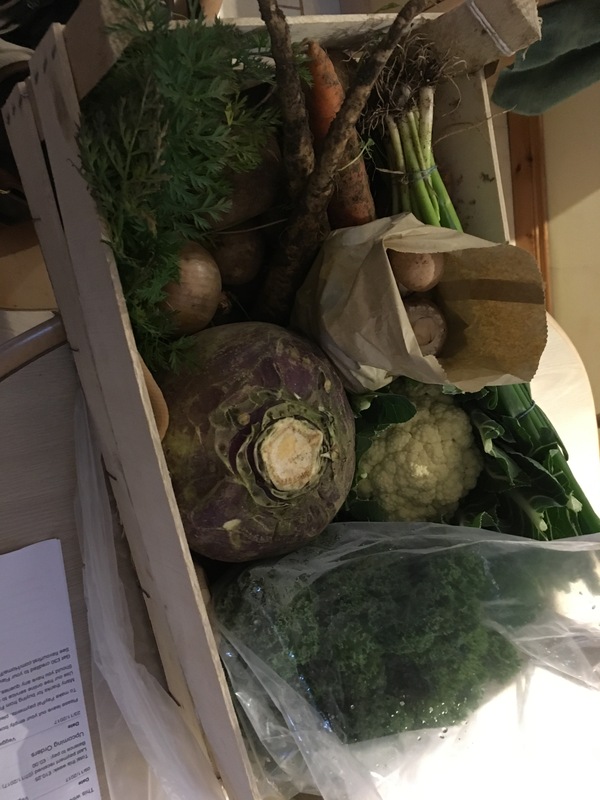 Thursday was also veg box delivery day, so I had fun thinking of the various meals I could make, and puzzling over what to do with a giant turnip. Friday, and my lunch was a “bitsa this, bitsa that”, including homemade guacamole and carrot sticks, and some fabulous Iranian dates stuffed with walnut. I have a glut of carrots at the minute, so I am making myself eat a carrot a day. 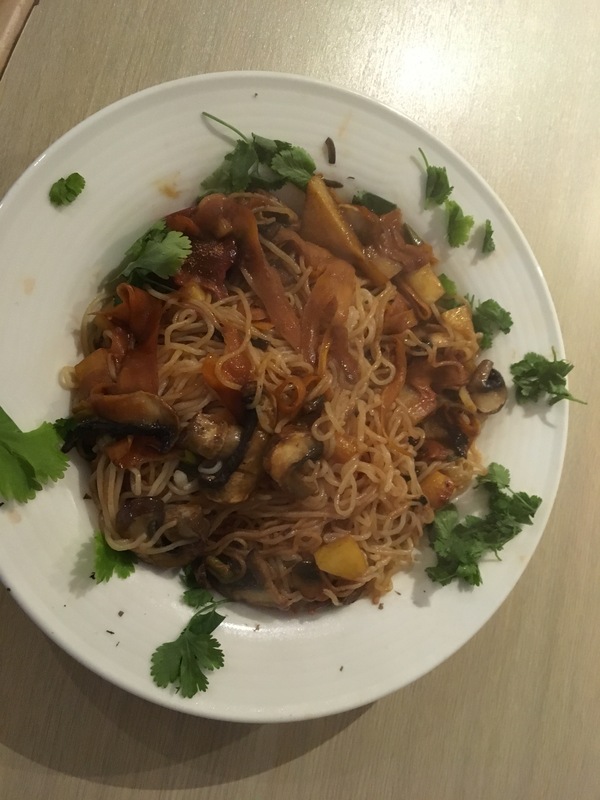 I love Friday evenings spending my time in unhurried cooking, and so I stuck on some old school tunes from The Corrs and Seal, and danced around the kitchen making Jamie Oliver’s Keralan curry. I wouldn’t normally put pineapple in things, but this was really tasty. And I made enough to freeze a portion. Result! Saturday morning was another dance class – I set myself up with a slice of wholemeal toast with cottage cheese and blueberries, and lunch was a cheese and crackers working affair duing a committee meeting. I then made a vegan shepeherds pie, using some of my turnip in the topping along with parsnip. I made half of it totally vegan, to give my sister, but I added cheese and butter to the topping on my half. Again, there was a portion for the freezer. My usual Sunday morning brunch is a boiled egg. I often do more than one, so that there’s hard boiled eggs ready to go for lunches and snacks – handy portable protein for 80 calories. I usually paint a face on the hard boiled ones to avoid confusion! For dinner, I tried a Deliciously Ella dish of saute potatoes, wilted kale, tomato and humous. An unusual mixture, but I would repeat it. There were supposed to be some jarred artichokes as well, which my storecupboard astonishingly lacked. Monday was another low calorie day. I’d made a sort of coleslaw with grated turnip and carrot in quark, but I couldn’t manage to eat it – the first real disaster on this journey. Dinner was good old eggs again, made into a fritatta with potato and mushroom, and a few tasty cubes of feta. As often happens, the day after a fast day I don’t really feel hungry, counter intuitive as that sounds. So on Tuesday I just had a handful of blueberries with my cup of tea. Lunch was high protein cottage cheese with tomato, kale and walnut, which was a satisfying mix of textures. And there may be no such thing as a free lunch, but I managed to get a free dinner at a new chip shop, by checking in on Facebook at Chipmongers – and they were grrrrrrrrreat! Summary: Still on the hunt for veggie haggis, so I can make neeps and tatties to use up my turnip mountain. Still on the hunt for seitan, another protein source. Still no donations to my fundraising site. But one happy vegan sister and two handy homemade meals awaiting in the freezer!